No, I haven’t forgotten about sharing Cupcake #2 from our friend’s baby shower! A couple weeks ago, I baked two different kinds of coffee-themed cupcakes. They were the sweet bite at the end of a gorgeous brunch with lady friends. The Pumpkin Snickerdoodle Cupcakes were a hit. 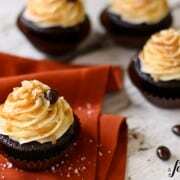 And so were these Salted Caramel Mocha Cupcakes! At the base is Ina Garten’s famous dark chocolate cake. With some brewed coffee added to the batter, the cupcakes are deliciously dark, yet not too dark to scare off my milk-chocolate-only-husband. But it’s the salted caramel buttercream that is killer here. Flecked with vanilla beans, this frosting is silky smooth and not overly sweet. And, of course, the add-ons are nothing but pure fun…a drizzle of salted caramel sauce, a sprinkle of flaky sea salt, and a happiness-inducing chocolate covered espresso bean. 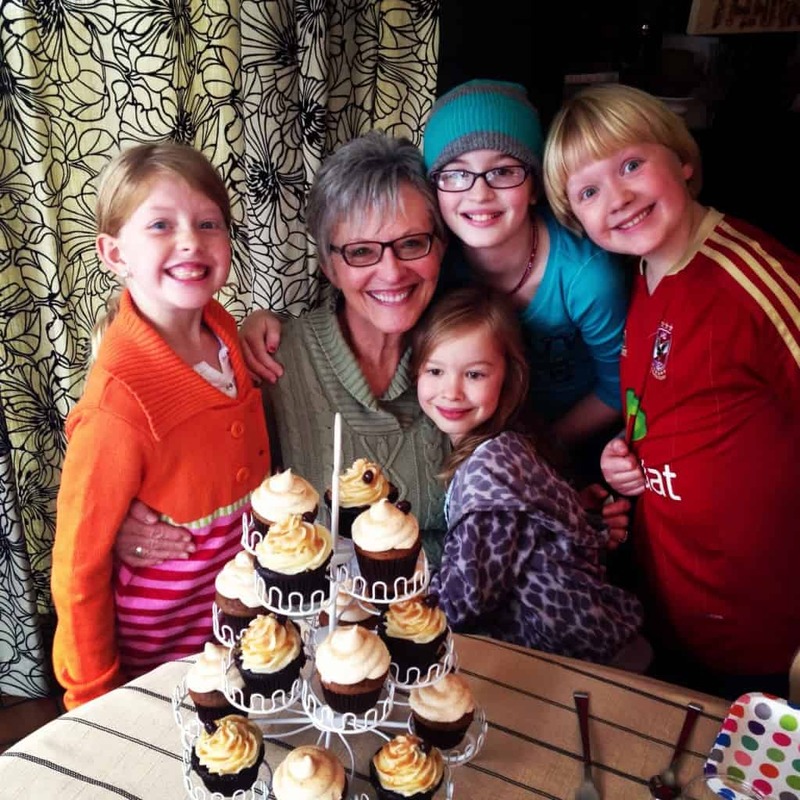 Mom celebrating her birthday with a few of her grandkids. These two cupcake recipes got another workout when family was staying with us last week for Thanksgiving. My mom loves her coffee, so these sweet treats were just perfect for her. TODAY is Mom’s official birthday. Happy Birthday to the most beautiful mom ever! Preheat oven to 350°. Prepare 2 standard muffin pans by lining with 24 paper cupcake liners. Set aside. Sift the flour, sugar, cocoa, baking soda, baking powder, and salt into the bowl of an electric mixer fitted with a paddle attachment and mix on low speed until combined. In another bowl, combine the buttermilk, oil, eggs, and vanilla. With the mixer on low speed, slowly add the wet ingredients to the dry. With mixer still on low, slowly and carefully add the coffee and stir just to combine, scraping the bottom of the bowl with a rubber spatula. The batter will be very loose. This original recipe is for 2 round pans, and I found this amount to be just a bit too much for 24 cupcakes, so I remove about 1 cup of batter before dividing amongst the cupcake liners. Bake for about 18 to 20 minutes, or until a toothpick comes out clean. Let cool in the pans for 15 minutes, then move to a cooling rack to cool completely. Place cream in a small bowl. Scrape in seeds from vanilla bean and then also add the bean. Set aside. Stir sugar, corn syrup, and water in a heavy saucepan over medium heat until sugar dissolves. Increase heat to medium-high and bring to a boil, occasionally swirling pan and brushing down sides with a wet pastry brush. It will thicken and turn deeper in color. After about 5 to 6 minutes, it should be deep amber in color. Don’t let it get too dark. If it starts to smell burnt, immediately remove pan from heat. Gradually add vanilla cream, while continuously whisking. The mixture will bubble vigorously. Whisk over medium heat until smooth and thick, about 2 minutes. Remove from heat and whisk in butter and salt. Strain into a heatproof bowl. Place in refrigerator to cool completely. In a stand mixer fitted with a paddle, beat the butter until creamy. At low speed, beat in the powdered sugar. Increase the speed to high and beat until fluffy, scraping down the side of the bowl, about 2 minutes longer. At low speed, beat in the cream and vanilla. Then gradually beat in the 1-1/4 cup of cooled caramel sauce. Scrape down the side of the bowl and the paddle, increase the speed to medium-high and beat until light, 3 minutes longer. Using a wooden spoon, vigorously beat the buttercream for 30 seconds to deflate any air bubbles. Fill pastry bag with a large star tip and pipe buttercream onto cupcakes. Drizzle over the top of each one a bit of the remaining salted caramel sauce. (Any leftover salted caramel sauce is wonderful over vanilla ice cream!) Press a chocolate coated espresso bean into each swirl of frosting and then sprinkle lightly with sea salt. Dark chocolate mocha cupcakes adapted from “Beatty’s Chocolate Cake” from Barefoot Contessa at Home. Salted Caramel Sauce adapted from bon appetit, September 2011, originally from Barbuzzo in Philadelphia. 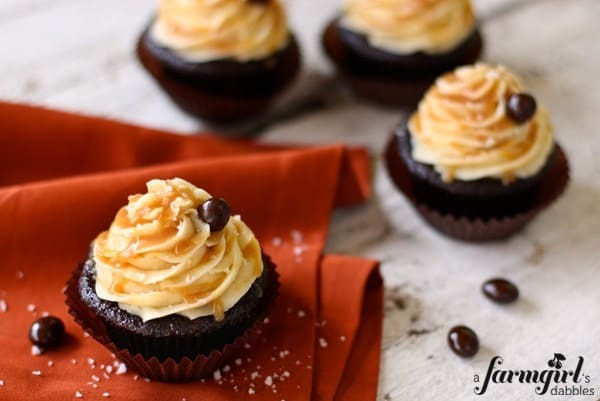 Salted Caramel Buttercream from a farmgirl’s dabbles. I can’t wait to try these for our Sunday dinner this week. Although the pumpkin snickerdoodles look amazing too! Maybe… I’ll make both! Lol! Thank goodness we have a big family! 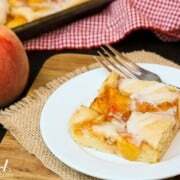 Thank you for these great recipes and I LOVE your photos. Do you have a photography background? Hello Madalaine – thank you so much! No formal photography background, have taken random classes for many years. I hope you liked the cupcakes! Lovely cupcakes! I’m baking these on Thursday for a bake sale on Saturday, will they still be good? Should I add the remaining caramel topping on Saturday or will it be okay if I put it on Thursday? Please let me know! I’m LOVING your recipes. I know I’m like a year late, but they’re all so perfect. Maybe it’s because of my own roots on the Minnesota/South Dakota border, or maybe you’re just a genius. :) I definitely look forward to an entire day of checking out recipes and copying them into my book. Great to hear from you, Nic. Thank you so much! I made these last night and they were absolutely wonderful. Thank you so much for this recipe! Wonderful! Thank you so much for coming back to let me know, Kristen. 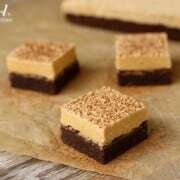 I am sucker for caramel and mocha so I am giving this recipe a try. Thank you so much, hope you can drop by my blog too. It’s so nice to meet you, Iris! Oh, boy! These have my mouth watering! …..pinning…. Bring me one Brenda? Please? I love the look of that caramel buttercream! It looks fantastic. Yes, please :) These look like they would melt in your mouth! Thanks for sharing. These cupcakes are so, so pretty! Love the flavors! Wow these look incredible Brenda! You didn’t miss a thing: caramel sauce, buttercream and additional garnish?!?! 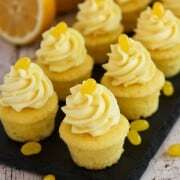 I wish I could sink my teeth into one of these cupcakes right now! These look so fabulous! Yum! Holy delicious! 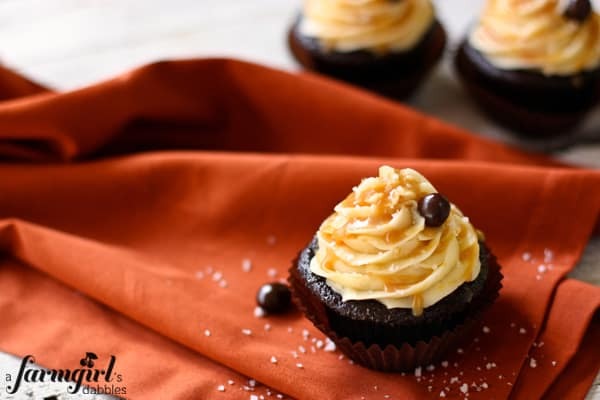 I’ve only recently come to know and love the deliciousness that is salted caramel! Glorious day, these cupcakes look awesome! I love coffee, so the deep dark chocolate coffee flavor of the cupcake has me hooked. I adore Ina Garten and have yet to try her recipe but you’ve inspired me to do so. I bet the ladies at the baby shower couldn’t get enough of your two cupcakes! I am dying — you have all of my favorite flavors here! What a sweet treat for a birthday, happy birthday to your mom, Brenda! Salted caramel is my favorite, I love these! Gracious how I could dig right into one of these. Beautiful! These were delicious!!!! Thank you for sharing! These are so pretty, I love them! Thanks, Angie! Have a great weekend! Oh. My. Lands. I’m suddenly hurtin’ for salted caramel mocha cupcakes and it’s 10 am. Love the expressions on the kid’s faces! Love the cupcakes! Love you! !